Pocket Fruity was one of the first sites from Gaming Realms, the company behind Slingo.com and Spin Genie. It’s a mobile casino that offers a large selection of slots, live casino, instant win games and of course Slingo. It’s recent history (2018) has been largely in the shadow of newer TV themed sites that have joined the stable. In 2017 it removed not only a no deposit bonus but any welcome bonuses either. However, they’ve now reintroduced the welcome bonus. Pocket Fruity claims to offer 500 different games including the Gaming Realms exclusives of Magic Mine, Dancing On Ice, Pigasus, The Price Is Right and Pay Of The Dead. There are also the various versions of Slingo including the bingo/slots cross over of Slingo Boom and the themed games such as Rainbow Riches and Showdown. 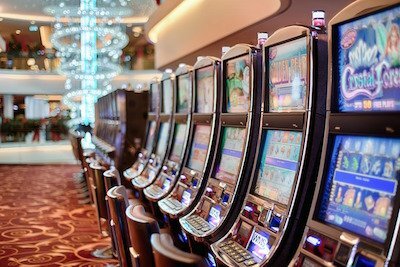 These are joined by slots from the likes of Net Entertainment, IGT, Microgaming, Alchemy Bet and Eyecon. 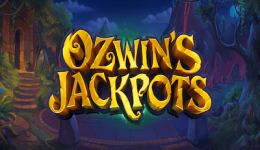 Titles include Reptoids, Snow Queen Riches, Monopoly Mega Movers, Elephant King, Ozwin’s Jackpots, The Phantom’s Curse, Orient Express, Rainbow Ryan, Finn & The Swirly Spin and Jungle Jackpots. If you prefer casino then there’s blackjack, video poker, European roulette and American roulette. There’s also a Live Casino and plenty of instant win games. Promotions are limited to the site’s VIP programme. As a VIP you can get 10% bonus cashback, exclusive VIP promos and priority withdrawals. Higher rollers can claim extra rewards as a Platinum VIP! There’s no benefits offered for regular players on smaller budgets! The brand does have a social media presence but the Facebook page hasn’t been updated since November 2017 – we wonder whether Gaming Realms are putting their focus on Slingo.com, Deal Or No Deal Casino and getting their games on to other brands. In terms of games, Pocket Fruity is a good choice, especially for a mobile casino player. However, if you want a welcome bonus or free games then you’re actually better off choosing Slingo.com or Deal Or No Deal Casino. Pocket Fruity support for users who aren’t logged in – but there is an online chat facility.